‘Blätter’ wants public regulation of the big four; ‘Fronesis’ theorizes contemporary solidarities; ‘Wespennest’ talks intelligently about idiocy; ‘Mittelweg 36’ looks at legitimate rebels; and ‘Varlık’ listens to the music of urban Turkey. Discussion about reigning in the big four – Facebook, Google, Apple, Amazon – focuses on two options: first, prevention of their monopolies; second, regulation of their platforms, writes Ulrich Dolata in Blätter. 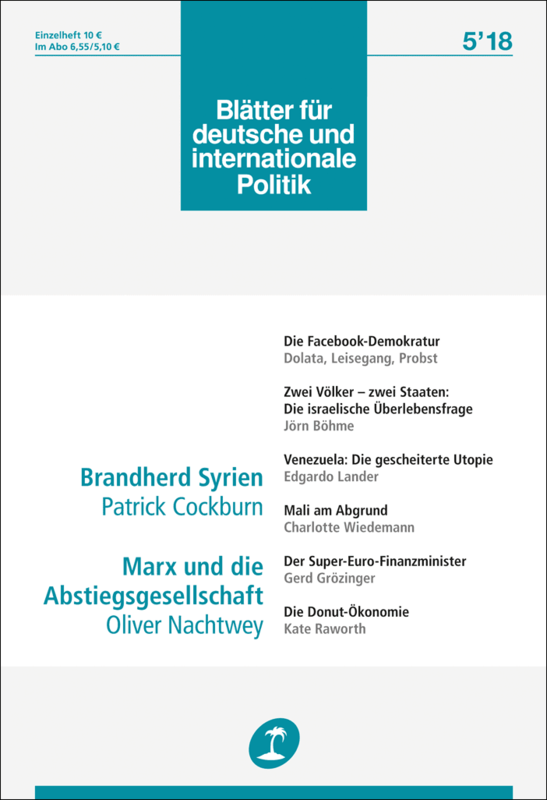 Also: Daniel Leisegang on Cambridge Analytica and the ‘democracy hackers’; Maximilian Probst on the state’s failure to protect its citizens’ privacy and freedom online. 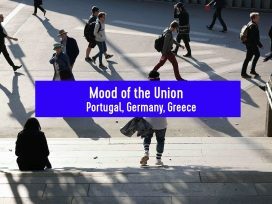 Today, solidarity does not necessarily mean cohesion within a nation state, a class or other more limited groups’, write the editors of Fronesis. ‘In a world where interdependence between people is growing, the need for solidarity across borders has become crucial. Yet today we are seeing an increase in neo-nationalist currents idealizing the imaginary cohesion of the past.’ What, then, does solidarity mean in times characterized by inequalities, economic globalization and resurgent nationalism? What forms of solidarity hold welfare states together and what groups do we really solidarize with? Japan: Sociologist Carl Cassegård writes on ‘individualized solidarity’, defined as ‘a solidarity whose forms and objects are detached from the established institutional contexts that have traditionally guided individuals’ sense of group belonging’. He discusses the internet phenomenon 4chan – famed as the birthplace of the hacker collective Anonymous – and the growth of Otaku or ‘geek’ culture in Japan. Solidarities: Will Kymlicka argues that neither neoliberal multiculturalism nor welfare chauvinism can offer sustainable models for contemporary societies. 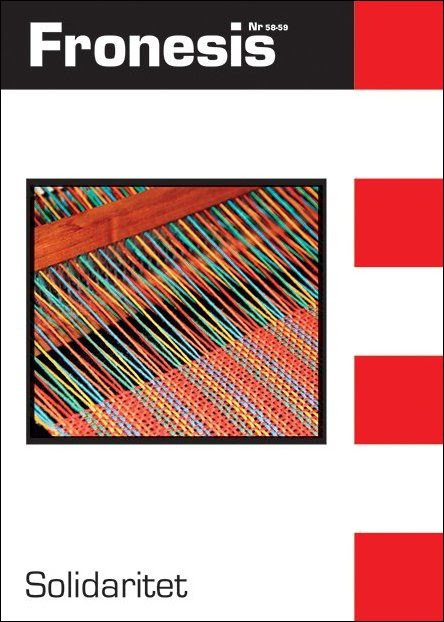 He discusses the prospects for a multicultural national solidarity, in which belonging to the national community is based on common ideas of social justice. And Nathalie Karagiannis looks at how new forms of political antagonism are changing the conditions for solidarity: we need to acknowledge that solidarities can both conflict with and support one another. 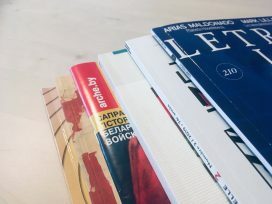 More idiocy: Monika Rinck on the idiocy of love, Sabine Scholl on the madness of gentrification, Natalia Besedovsky on financial ratings, Ines Geipel on doping in competitive sport, and Helmut Neudlinger on the literary history of subversive stupidity. From Somalia to Syria, Mexico to Libya, Ukraine to El Salvador – examples of the state’s loss of its monopoly on violence are not lacking. Yet there is little research into the social reality of such places. 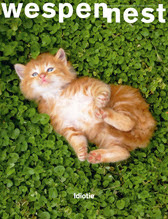 What can be said is that, in these spaces of limited statehood, chaos does not rule. So what constitutes the legitimacy of rebelocracies? 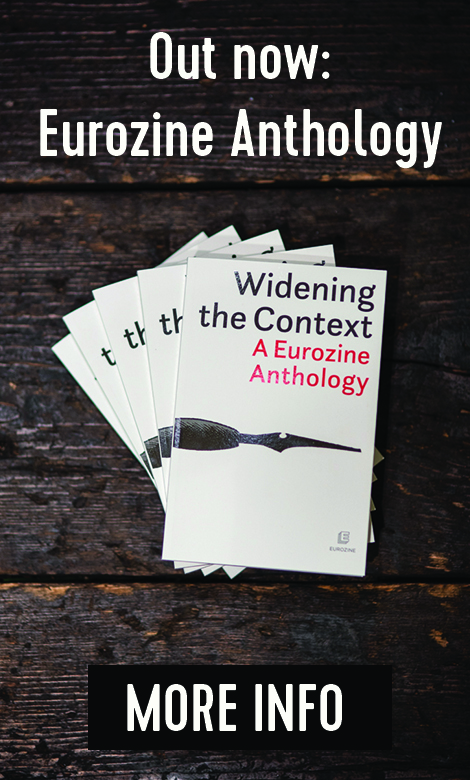 Contributors to the latest issue of Mittelweg 36 give some answers. Jutta Bakonyi looks at how the Somalian population experienced the rule of various armed groups during the civil war, concentrating on changing attitudes towards the Islamist militia al-Shabab. Initially greeted for its hostility to clan structures and restoration of law and order, al-Shabab came to be hated for its repressive and arbitrary regime. Ideology was less important than everyday improvements: when life started to worsen, support declined. This would suggest that the Weberian concept of legitimacy is better understood not as ‘static resource’ but as ‘social practice’ ‘mediated by power’. Janina Pawelz explores violence in the deprived areas of Trinidad and Tobago, observing what happens when criminals start becoming providers of social services. ‘The interplay betwen violence and forms of local legitimacy is essential for the successful exercise of power by violent non-state actors,’ she argues. ‘Both social recognition and measured doses of fear are necessary in order to be acknowledged by the state as a political actor’. 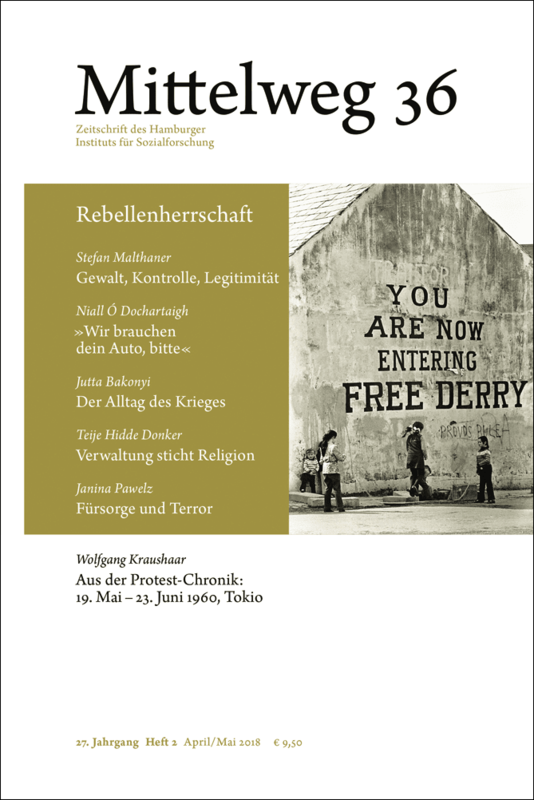 Also: Niall Ó Dochartaigh on the complex of force, loyalty and support in relations between the IRA and the Catholic population in Northern Ireland; and Teije Hidde Donker on Islamist pragmatism in the rebel-controlled areas of Syria. Protest: Wolfgang Kraushaar on the mass protests in Japan against the ratification of the US-Japanese security pact in the early summer of 1960. 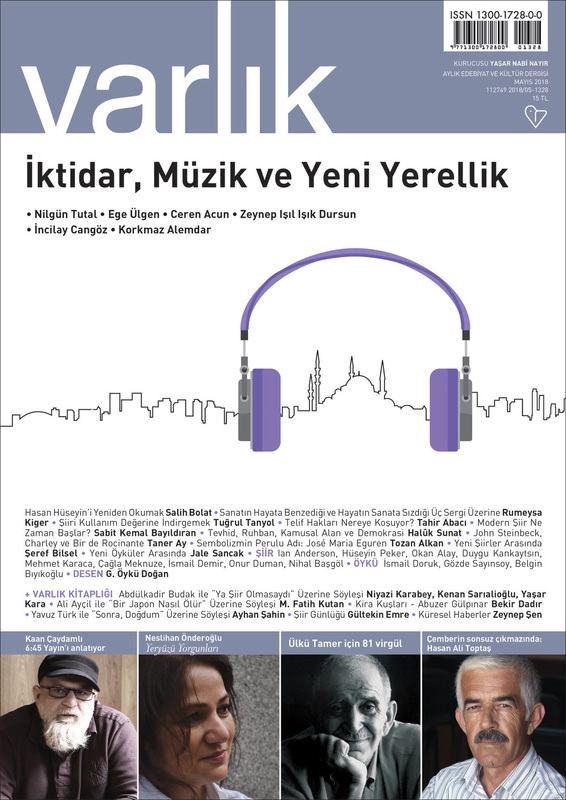 The May edition of Varlık continues the examination of Turkey’s urban culture, this time through music. It looks at how spaces are shaped and given identity by music and asks what happens when modern cities open up to global culture and find their own sounds drowned out by the incoming wave. Istanbul: Ceren Acun investigates how the government’s ‘ideology of “New Ottomanism” has used music to give identity to urban spaces’. She tracks how Islamist municipalities first added religious and folk music to the repertoire of established concert spaces, and later expanded the annual celebration of the conquest of Istanbul into public spectacles designed to make ‘the conservative, nationalist identity of the Islamist movement visible in the city’. Nevertheless, Acun sees the city resisting these interventions. Istanbul has ‘so many hidden senses, lanes, places where power’s gaze does not reach, and its hand does not extend, that a government desire for homogeneity will remain unsatisfied’. Ankara: Zeynep Işıl Işık Dursun attempts a portrait of the sounds of Çankaya, the moneyed district of Ankara where ‘like many places, traffic noise dominates the aural fabric’. She notes the man busking with a recorder at a junction whose clothes indicate he has come from a peripheral suburb to earn his livelihood. In a nearby park, she hears a saxophonist playing a song evocative of Turkey’s foundation: ‘An Anatolian folk melody presented to listeners on a western instrument, and thus shaped aesthetically as a western melody that contains within the piece local culture.’ She closes her essay with the tale of how a middle-class area called the police to shut down late-night wedding parties in a nearby shanty-town valley. Dance: İncilay Cangöz and Korkmaz Alemdar look separately at how music and dance reflect early Turkish Republican history. Cangöz shows why Atatürk’s Turkey loved to tango. ‘While the tango liberated women by including them in public life, as opposed to their enclosure in private space under the Ottoman social order, it also dressed the Turkish man in a western identity.’ Alemdar cites memoirs of that era to show some of the anxieties those shifts exposed, how the tango was played on the stringed Middle Eastern kanun, and how nowadays the tango and waltz have given way to belly-dancing. Also: Nilgün Tutal and Ege Ülgen interview two musicians whose work combines Turkish elements with the global jazz and classical music: Nail Yavuzoğlu, ‘a multifaceted musician who kneads folk songs into jazz, and jazz into folk songs’, and İslam Manafov, a Moscow-trained pianist who now lives and works in Istanbul.